Barely 10 days after the present government was sworn in May 2014, national dailies headlined "PMO tells MoD, MHA: Get forces involved in policy", elaborating that in an attempt to improve the working environment for the armed forces and other internal security outfits, the Prime Minister’s Office has directed the home and defence ministries to ensure that decisions, especially those relating to the uniformed forces, should be taken only after detailed consultations with their top officers. 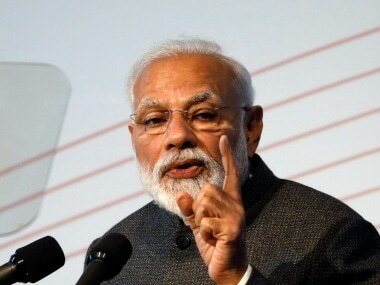 The news item elaborated that PMO strongly believed matters relating to the armed forces should not be decided by civilian bureaucrats sitting in North and South Block and that the military leadership should be involved more in decision-making. 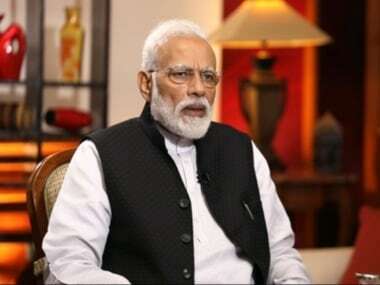 Above report further added Prime Minister Narendra Modi had signaled: key decision cannot be left to the bureaucrats; forces must be involved at every stage as they have firsthand experience of what is happening on the ground; entire process of procurement of weapons and equipment was deeply influenced by bureaucrats who have virtually no experience in this field. The news report quoting a senior official added that any new welfare scheme for armed or paramilitary forces gets drafted by a joint secretary or director-level officer will now change and actual operations officers from the forces will have a greater say. Was that a lip service or did it get lip-locked by the mafia? It is often asked who are the mafia, for which no simple definition may apply. But remember the open letter by Anil Manibhai Naik, CEO of L&T to the then Prime Minister Manmohan Singh that amongst other things said, "And the defence production (ministry) joint secretaries and secretaries of the defence ministry are on the boards of all public sector - sickest of sick units you can think of who cannot take out one conventional submarine out for 15 years now with the result that the gap is widening between us and China and bulk of the time we resort to imports out of no choice," adding, "The whole (defence) industry which could have really flowered around very high technological development and taken India to the next and the next level of technological achievement and excellence is not happening." Of course, Manibhai would not know that while he lamented about submarines, 15 years were being taken to produce an assault rifle that was no match to top ten of its class available globally. 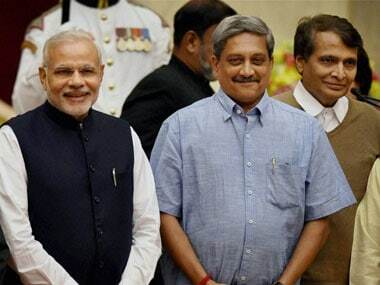 If you think that was long ago, witness the meeting on 24 October 2016 called by Defence Minister Manohar Parrikar to meet ex-servicemen wherein he indicated at the outset his hurt at the various mails derogatory towards the "bureaucracy" and requested the veteran community from using such language. Perhaps he is right and the bureaucracy should be placed on the pedestal given the fact that despite joint secretary's of Ministry on Defence on all boards of the DRDO, DPSUs and Ordinance Factories, India has continued to import 70 percent of its defence needs past several decades. Do you understand now why the reorganisation of MoD and injecting military professional doesn’t happen, why HQ IDS cannot be merged with MoD, why users (military) are not at the design, planning and decision making levels of governmental defence-industrial set up, and why the military must be put down any which way with welfare and prestige of serving, veterans, widows, disabled be damned. The Defence Minister’s insistence to Service Chiefs to immediately implement 7th CPC that brings military below the CAPF, Service Chiefs decision to wait for the anomalies to be resolved first, MoD’s 30 September letter bringing the disability pension of military drastically down from what was earlier vide 6th CPC and MoD eventually forced to refer the issue to the ‘Anomalies Committee’ has been in the news. Of course, one part of the forked tongue is tweeting disability pension as per 6th CPC for military personnel have been restored. But whom do you believe and how come the anomalies committee has become so very efficient? Had we become so administratively efficient, even World Bank would not have slammed us for ‘ease of business’. The government versus judiciary feud is in the news, but past several months the Armed Forces Tribunals (AFT) are lying defunct because the post of civilian judge to head AFTs are lying vacant. But with the type of mischief against the military being engineered anyway, why bother about any justice by AFTs. But look at the misinformation campaign launched about government letter No A/24577/CAO/CP Cell dated October 18 that equated: civilian Group B section officer with army captain; civilian joint director with full colonel (earlier equated with Lt Col); civilian director with brigadier (earlier equated with full colonel); principal director with major general (earlier equated with brigadier). According to media, not only did this letter have MoD approval, objections by armed forces were overruled by the Defence Minister - in a note to MoD in August-September this year, army had “categorically objected to the systematic downgrading of defence officers in status/equivalence vis-à-vis civilian officers”. Following above expose, another media report emerged quoting MoD officials that the October 18 letter in question downgrading the military ranks vis-à-vis civilian officers was only due to “functional” reasons (also stated by the Defence Minister) which is a very poor excuse because it ‘does’ downgrade military ranks. Will the Defence Minister explain what is the “functional” reason and what are the “non-functional part” of the military-civil relationship, or is it because the military is the only government service that has been deliberately denied the NFU while the balance government services including the civilian defence employees are enjoying the same? Additionally, while MoD denies any reduction in the military’s status (without cancelling the October 18 letter) and that existing functional equivalence as clarified in 1991 and further reiterated in 1992, 2000, 2004 and 2005 has only been re-affirmed, another media report states that all these letters cited by MoD were superseded in 2009 by a Group of Ministers report (formally equating army colonels with civilian directors) which was approved by the government. So, does the Defence Minister have the foggiest idea that he is being led up the gum tree by his ministry with the explicit aim to create discord in the military establishment through deliberately downgrading military ranks vis-a-vis civilian defence officials? Now MoD has struck again with approval of Defence Minister by creating two new civilian positions of Additional Director General (ADG) to look after engineering projects in Army’s Northern and Eastern Commands. This policy decision has been taken arbitrarily by MoD - whatever happened to the PMO missive to involve forces in policy decisions? 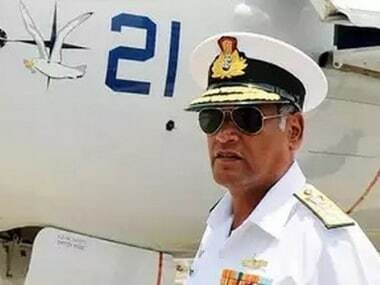 Leave aside consulting the Engineer-in-Chief and concerned Commands, even Service Chiefs were ignored. Without doubt these ADGs will show two fingers to Army Commanders Northern and Eastern Commands; already there have been cases where civilian officers object to official meetings chaired by the Commanding Officers stating they draw more pay and hence it is they who should chair the meeting. That is why these new ADGs are being placed at Jammu and Guwahati instead of being co-located with respective Command HQ. And you guessed it - Guwahati because 7th CPC grants Rs 75,000 monthly hazard allowance to a civilian government official posted at Guwahati and perhaps the guy at Jammu will be quietly given double that amount with Pakistan shelling villages in vicinity of LoC. Frankly, this whole exercise of creating to civilian ADG posts in Northern and Eastern Commands stinks about money – getting control of funds with (MES) offices and Chief Construction Engineers (CCE) reporting now to these civilian ADGs. There will be automatic setback to functionality and operational requirements of the military as decisions will be taken by bureaucrats sitting in MoD - exactly what PM Modi referred to above. Take the case of the Border Roads directly under MoD and the recent brouhaha of road construction in Arunachal Pradesh. It is all about connecting the villages close to the border. Little is happening about road construction to forward army posts where soldiers still have to walk two-three days to reach them. With the MES offices and Chief Construction Engineers (CCE) going under the civilian ADGs, matters will get worse. There is fresh news that government is appointing a three-member committee to look into the issue of pay and rank parity with regard to the military. Obviously it would have no military member – perhaps all bureaucrats under the weird logic that if all the anomalies were on behest bureaucrats, they would be best suited to resolve them. The Reddy Commission on OROP anomalies submitted its report to the government three days back; what surprise it holds is not known. But if the government is really serious about resolving the civilian versus military pay and rank parity, the solution is actually very simple – combatize the civilian defence employees; give them military training and make them part of the military. This will also beef up security. NDA-I is considered by far the best for armed forces. Which way NDA-II is heading, readers can decide.